WARREN COUNTY, North Carolina (WTVD) -- That's one lucky horse! 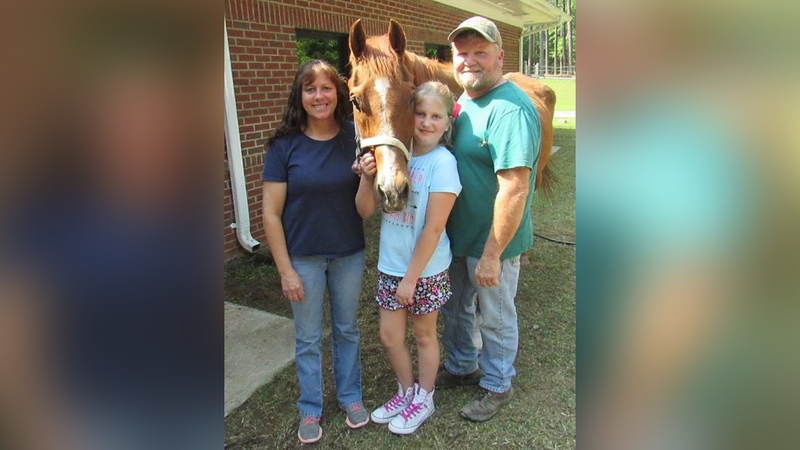 A horse named 'Lucky' now has a place to call home and live out the rest of his life after years of neglect. The Warren County Animal Ark rescued Lucky and made him available for adoption. The shelter said he is around 20 years old and had been poorly treated for quite some time. We shared Lucky's story on Facebook, and our post was shared hundreds of times. The Hicks family from Randolph County watched our story last weekend and decided Lucky would be the perfect fit for their family. Congratulations to the Hicks family for providing Lucky with his forever home!